As members of the National Trust I was really pleased to see in the latest edition of their magazine that we could phone and request a free copy of the recent film 'Project Wild Thing' following father of two David Bond as he appoints himself 'Marketing Director for nature' and attempts to promote the benefits of children being outside. The DVD arrived this morning, perfect timing since we had spent the previous day at the glorious NT Scotney Castle doing all the things that the film shows David promoting, including climbing trees and rolling down grassy hills. 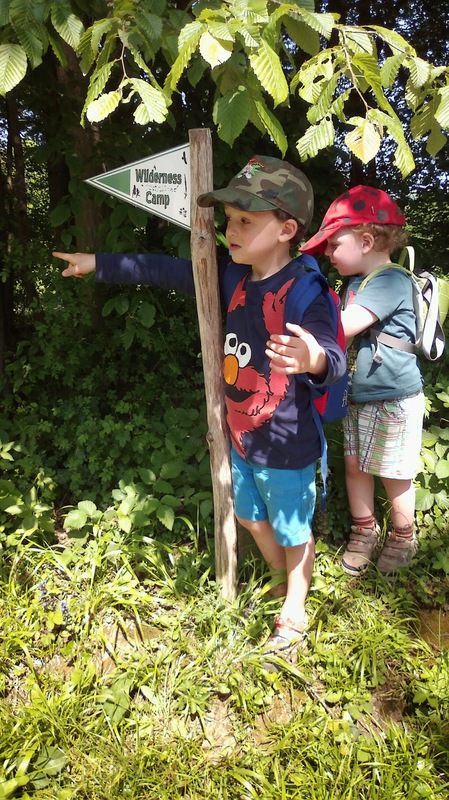 Scotney is amazing because as well as not one, but two, historic properties to visit, it has stunning grounds that provide enough space that kids can be kids without upsetting anyone by trampling the flower beds. 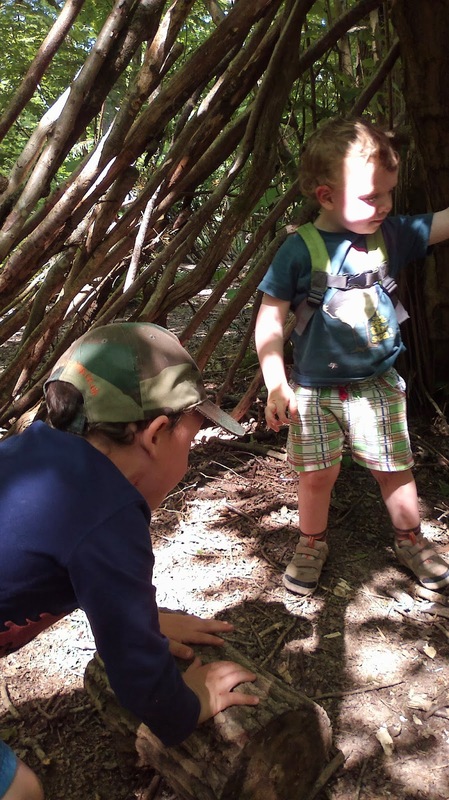 One of the best areas that is specifically designed for children is the Wilderness Camp. 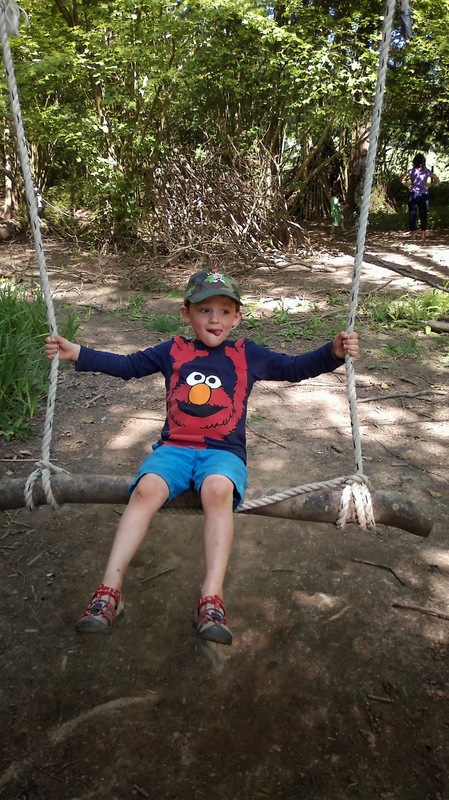 After a little adventure down a country lane running away from the main house you find yourself in an area of coppiced woodland, complete with swing, ropes and also poles for den building. I love the collaborative feel of the film, with so many people and organisations getting on board to help push the project forwards. The project comes with a website and an ap which gives suggestions of things to do outside, all you have to do is select how much time you have available, from 30 minutes to 2 hours. The project aims to get parents pledging that they will get their kids outside to play more often and gives loads of great reasons why this is so important. One of the projects that David visited was a small not-for-profit organisation called Monkey Do who promote tree climbing. In order to satisfy parent's call for health and safety, they do this by stringing up nets in areas of woodland that children can climb and jump all over safely. The interviewee pointed out that children have an inbuilt desire to seek out risk and challenge as this is a vital part of how we develop. Just watching children playing on the nets for a few minutes was enough to give a good reason to encourage it - huge smiles and laughter that was completely absent from the face of David's three year old when he sat motionless watching a show on a tablet computer. 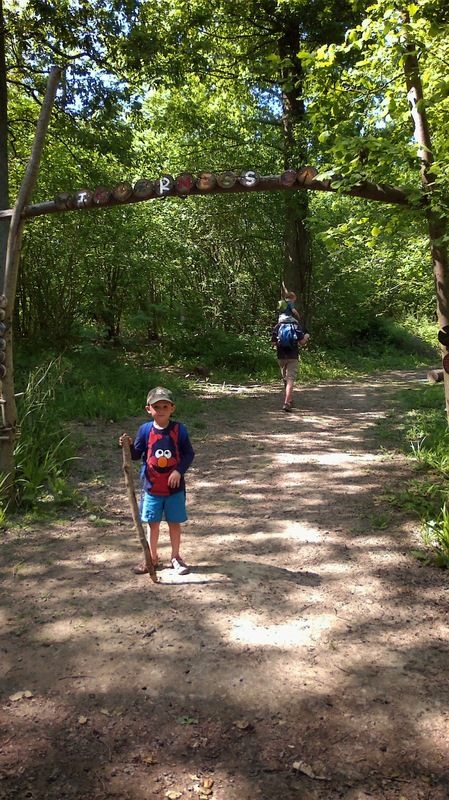 This project has found support in the National Trust as it fits in beautifully with their own campaign trying to reconnect our children with the natural world '50 things to do before you're 11 3/4'. It also fits in nicely with another National Trust collaboration which is close to my heart, the 'Pledge one hour' campaign which aims to get time-short parents connecting with their children through play. The Pledge one Hour website has lots of great indoor activities to do too, but all of these projects recognise that if you talk to children the things that they most love in the world are playing with their families and that a whole stack of research is mounting up that our children just don't get enough of the things they need. The Pledge one Hour campaign funded independent research which found that 40% of parents spend less than 1 hour a day quality time with their children. How much of the time we might have available is spent staring at a screen. A friend recently told me she'd disconnected from social media after realising that she was pushing her children away when they wanted her attention because she was staring at her phone. I suspect a lot of us are guilty of that at some time or other. Screens are alluring and addictive. Games manufacturers and TV show producers aren't doing this with a maniacal laugh as they set our kids on the road to obesity, depression and behavioural disorders, it's just that they get paid to produce a product that sells well because it's popular and kids (and parents) can't get enough of it. But the good news is that there is a rising tide of support for parents to move away from this sedentary zombification of both our kids and ourselves. Paraphrasing a comment made by David in the film what if we advertised Nature in the same way we sell merchandise? Would it suddenly seem more exciting and appealing, and less lonely and frightening? For a generation of children set on the road to becoming mindless absorbers of content I desperately hope that there is a better way that can be embraced by all the people that need to get on board, including town planners. There's a wealth of studies showing improvements in academic performance and behaviour with exposure to natural environments, but ultimately what I think we really crave is happy, healthy, creative, independent decendents.